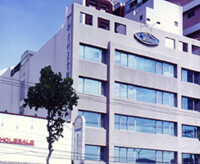 HSIN GEELI HARDWARE ENTERPRISE CO., LTD. is a professional manufacture and export of drilling and tapping machines in Taiwan. 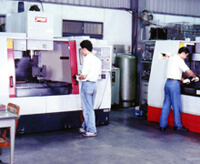 Since 1976, HSIN GEELI has been engaged in precision drilling machines ; tapping machines and multi-spindles machine heads. We are proud to provide a complete range of sophisticated machines, which are highly efficient, accurate, stabile and noiseless. 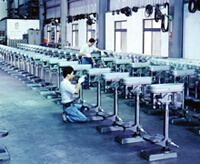 These wide range excellent machines are able to satisfy our customers’ individual needs. Quality assurance, to taking extra steps to test each unit before shipping, , and we believe that by providing highly reliable products can help both the customer and our business be more profitable by decreasing the maintenance costs. Also, We perform 100% quality control tests to ensure that every unit of machines is tested before delivery, in order to maintain its ZERO defect production record. HSIN GEELI’s flexible and efficient policy enables us to meet customers’ price and product demands. Our company is ranked top of the list of manufacturers of government owned China External Trade development Council. High credibility and reliability enable us to continuously support all our customers expanding their market share. HSIN GEELI let you get the best quality and more innovative machines at the best price. Looking forward to hearing from you and hope we shall be able to enter into long-term relationship with you in the near future.